The 82 - year - old, who uses a wheelchair, said last month he would pull out of the bid for another term, and his office on Monday said he would resign before his mandate expires at the end of the month. The moves failed to satisfy protesters who feared a ploy to extend his rule , with hundreds of students taking to the streets earlier on Tuesday. 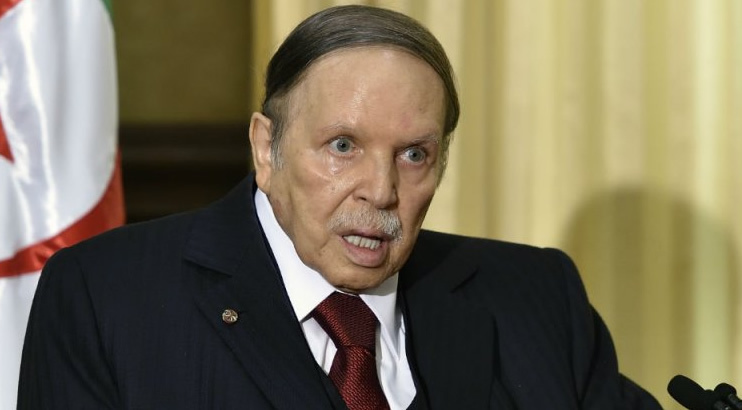 Algeria ’s constitution says that once the president officially resigns the speaker of the upper house of parliament would act as the interim leader for up to 90 days during which a presidential election must be organised. A long- time Bouteflika ally, the general last week called on the president to resign or be declared unfit to rule, becoming one of the first of his faithful supporters to abandon him. The veteran leader would take “steps to ensure state institutions continue to function during the transition period” , it said in the brief statement that was carried by the official APS news agency. Bouteflika’s resignation would not “change anything”, psychology student Meriem Medjdoub said as she marched in central Algiers earlier Tuesday with around 1 ,000 protesters.